Congratulations to VLP Attorneys, Jacob Samad & Sarah Topy! Congratulations! to Jacob Samad, partner at Robbins Kelly Patterson, & Tucker, and Sarah Topy, counsel at Procter & Gamble who were just named to the Business Courier’s Forty Under 40 class of 2017! The award honors young professionals who are making big strides in their careers while also making a difference in our community. One way these attorneys do so is by taking cases pro bono for the Volunteer Lawyers Project (VLP). Jacob, a VLP attorney since 2010, has volunteered at two Wills Clinics and accepted five cases. Sarah, a VLP attorney since 2013, has accepted seven education cases through P&G’s corporate partnership with the VLP. Thank you, Jacob and Sarah for your commitment to the VLP and our community. To see the entire Forty under 40 class of 2017, click here. 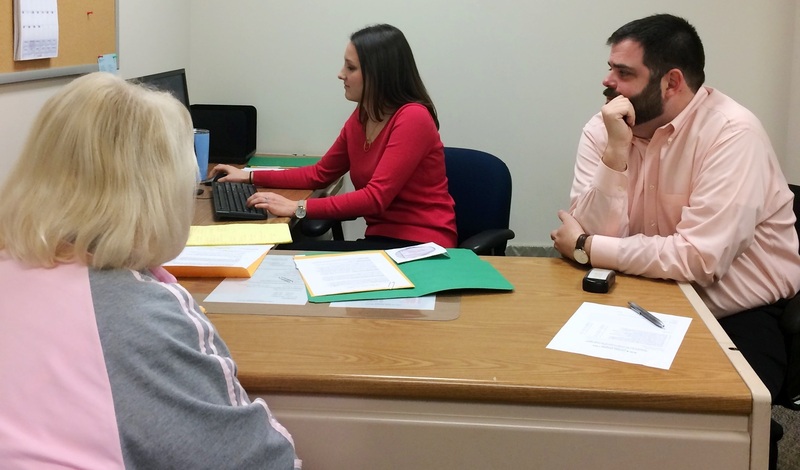 Photo: Jacob Samad with UC law student, Brooke Logsdon, assisting a client at a VLP Wills Clinic earlier this year.